How Often Do You Play Nine Holes of #Golf Instead of Eighteen? 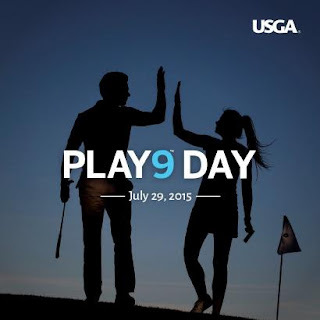 Visitng the "Golf, Nothing More" Discussion Group on Facebook, I read an interesting post about USGA Play-9 Day. What a great promotion, I thought to myself! Encouraging participation in golf is not an easy task but, if we can make the game quicker to play and rally more folks who may be beginners or business owners who sit behind a desk all day (like myself, ahem) to get out and enjoy some much needed fresh air and sunshine, the USGA Play-9 Day could increase future rounds and a golfers' fun factor. "In 2014, the USGA Golf Handicap and Information Network (GHIN®) recorded a thirteen percent increase from 2013 in nine-hole rounds posted in the two months after the program’s launch." Not everyone in this Facebook social media group agreed that nine holes of golf is better; several members fired back at the group with, "Never" but, for the most part, golfers seemed to like the idea citing time as the main reason for hopping on the front or back nine bandwagon. Personally speaking, and as I mentioned above, I sit behind a desk for much of the day, in spurts, and my lack of a five-hour plus block of time stops me from getting out for a full round of golf. My husband and I have always enjoyed a round of twilight golf so, sometimes, when the course is slow, we might even drop a few balls and practice our short game, bunker shots and putting. Also, with the sunset as a backdrop to a beautiful scene, it makes for a great hand-holding (or high-five) date. Play 9 Day is set for July 29th so, if you were thinking about getting out for a round of golf but time and life are getting in the way, this is a great day to push all cares aside, grab your clubs, your buds and/or loved one and get out into the fresh air and sunshine. But, don't make nine holes of golf a once-a-year event; half a course is better than playing none at all! Do you play nine holes or do you believe that eighteen is the only way? Voice your opinion on Golf for Beginners golf blog and on Twitter @Golf4Beginners. Swapping Sports - #Golf Challenges Cricket - Have You Seen This? Golf for Beginners recently published a blog about ways to introduce new people to the game. We think we found another great idea - sport swapping challenges! The ladies of Cricket challenged the professional European Ladies Tour golfers to a "Hit 'Em for 6 CricGolf" event - basically, How Far Can You "Whack" a Ball. Team Cricket - Heather Knight, Laura Marsh, Katherine Brunt, Natalie Sciver, Lydia Greenway and captain Charlotte Edwards. Team Golf - Mel Reid, Dame Laura Davies, Amy Boulden, Stephanie Na, Hannah Burke and Holly Clyburn. Just a hint...Laura Davies can really whack a cricket stick! Do you think that this is an interesting way to introduce players to different sports? Which combinations do you think would work? Tweet to @Golf4Beginners and post below on this blog. 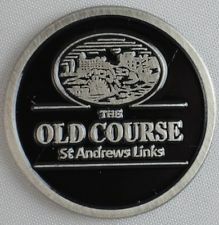 It's no secret that Tiger Woods loves The Old Course at St. Andrews, a "creative" links golf experience. 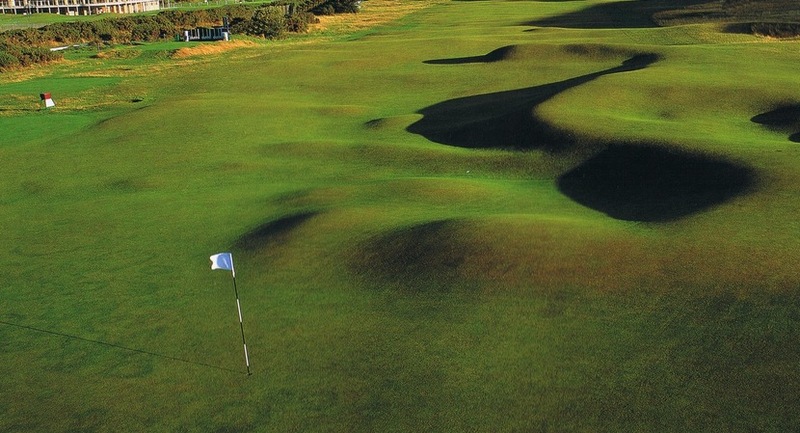 What is a links golf course, Tiger's strategy for The Open and how come both amateurs and professional golfers heave a deep sigh when talking about tips for playing it? -Natural Landscape so all of the bumps and undulations are naturally "rough" with few trees. -Lots of bunkers and many of them deep and, speaking of sand, the soil is also sandy. -Fairways appear to "blend" or roll right onto the greens. -Plenty of water surrounding the course but not much on-course. -Speaking of water and watching tournaments like The Open each year, very soggy too -with rain and wind sweeping through, playing havoc with golfers' shots! When Tiger Woods was asked about Jordan Spieth and his chances at The Open this week, Woods mentioned that the 21-year old's choice of getting acquainted with St. Andrews by using a simulator was a good idea and offered the tip that "It's about wind conditions." Woods continued, "playing in the different winds and having to hit the different shots, shaping shots completely differently from one day to the next on the same hole, it does help seeing the golf course under different winds." Rain is also a big concern as it makes the fairways and greens soggy - plugged shots, golf balls not getting enough roll - so consider the time of year and type of day when going out to play on a links course. 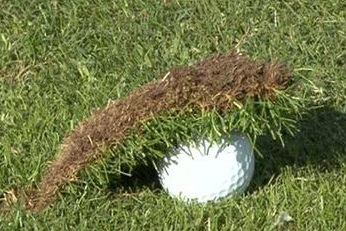 What about putting; is there any secret to rolling golf balls on the greens at St. Andrews, for example? If there is a lot of rain, expect a slower roll on all of your putts, which means you have to get both your speed and line down properly if you want to score birdies. Poor Tiger Woods - he said he hates slow greens! In recap, in order to score well on a links golf course you will need to avoid bunkers (or know how to play well out of them), use the wind to your advantage, "have the right angles" as Tiger Woods stated and get the speed of the greens. Whoever at The Open plays with a links strategy will hold the Claret Jug on Sunday. Do you have golf tips for playing links courses? What's YOUR Strategy? Tell us on Twitter @Golf4Beginners and on this golf blog. Reinventing Golf - Can We Get The Game in the "Green" Again? You can look at either side of the fairway to determine whether or not golf is in the red or black - is the sport as a whole declining or is there hope for more participants and new course openings? 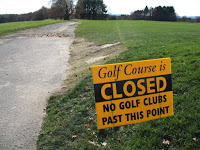 Many say that golf is in decline due to several factors - cost, time and frustration. On the flip side, golf could be making a comeback with new initiatives set in place by golf course owners in response to falling numbers...but, in the long run, will these initiatives help, or hurt, the game? USGA Executive Director Mike Davis believes that the sport is not dying but understands that "golf has its challenges, we are acknowledging those, but we think that the future of the game is very rosy." Conversely, as written in The Sun News, "Golf Holiday statistics show the region (Myrtle Beach, golf meeca of the USA) has dropped from more than four million rounds annually to about three million rounds played." In my opinion, it looks like golf, and the courses it is played on, needs to reinvent itself. Organizations like HackGolf are looking to find ways to "make golf more fun for everyone". In doing so, the website has allowed average golfers to comment on problems and offer "solutions" ranging from special rules for recreational golfers, relaxed dress codes and cross-purpose golf course memberships. Although my interest level peaked as I read through some of these suggestions and initiatives, I could not help but wonder if taking some of these ideas to the next level might hurt the game even further by separating it from its roots. Other ideas currently being experimented with, from larger golf holes to night golf with lit fairways and glow balls, seem to be helping introduce a wider variety of people onto the golf course - to tempt youngsters and beginners to want to learn the game in its original state. As for the "bigger golf hole" debate, there are two sides to the dilemma. On one hand, an eight or fifteen inch hole is great for gaining confidence of beginners and children. 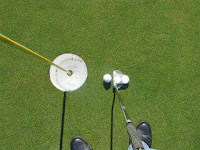 The problem is that a golfer might get used to playing that way and that is not the way the game is played - any putt you make is tarnished because the hole is bigger so there's never that putt you sank from 20-30 ft looking at it with the thought that "any pro would have been proud to hit that shot". 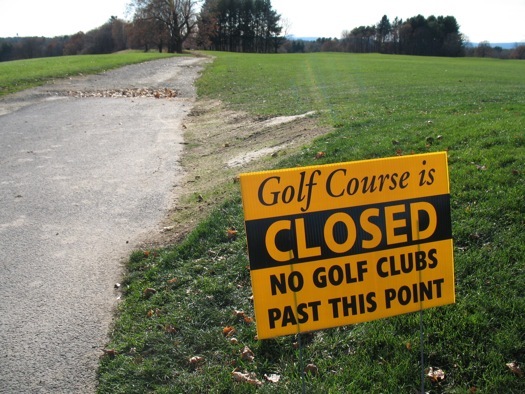 Golf courses that are suffering are also looking into utilizing the course to attract folks not necessarily interested in hitting a small white ball for four hours on eighteen holes. Foot golf and Disc Golf are already being successfully integrated and even uncommon ideas such as Geocaching are being considered as millennials are being courted to the greens. 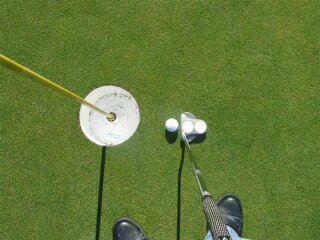 After reading my blog, "Creative social media strategies to increase rounds on the golf course." Erica Brockway, Communications Specialist at Hampton Golf, emailed me about her avid interest in geocaching, an outdoor recreational activity using GPS to find hidden caches, or containers. Her idea? Why not "give the clues on a handout to paying customers from the clubhouse or starters. Maybe within the container hidden somewhere on the course or cart path, insert a free voucher for a beer or appetizer after a round or something along those lines." Where I like the idea, I suggested that she try a "Geocaching Night" after rounds are played, so as not to disturb the golfers on the course. Post the event in the Clubhouse, on the website and on social media channels that families are welcome to join in the fun to search for golf-related prizes. So how do we help improve visibility for golf and get golf courses to thrive? Trying new initiatives, seeing what works - and what doesn't - spreading the word via social media and joyfully introducing beginners into the sport that can be played for a lifetime, is a great way to start! Voice your opinion on Twitter @Golf4Beginners and on this golf blog! During the past few rounds of golf with my husband, we both start the round hitting the ball clean and crisp and then Barry begins to chunk down behind the ball. Next thing I hear are grumblings about how much grass he took, how short the ball went, how many inches he hit behind the ball...and the list goes on. - Probably the most important thing Barry learned was that he wasn't properly transferring his weight. He was keeping the weight on his back foot throughout the swing. A video from PGA Teaching pro Eric Hogge suggests a baseball drill, stepping into the swing from behind the ball. - Another problem causing chunky shots was that Barry's golf swing was not beginning with his chest (shoulders) turning; instead, his swing was beginning with an arm movement. If this is happening when you swing the club, take a tip from Michael Breed on Golf Channel - use the Elephant Drill which also improves tempo. I also regularly place a golf club parallel to the ground up against my shoulders and turn back and through. - Finally (and isn't that enough?) Barry was using the dreaded "death grip"; he was gripping too tightly, not allowing the golf club to swing freely. Too much squeeze and everything in your swing gets affected from wrist hinge to a loss of power and control. A tip to improve your golf grip pressure comes from one of our early Golf for Beginners podcasts and from this visual at Golf Tips Magazine. Hold the golf club in front of you with just enough pressure to stop it from falling down in front of you. Also, something that I always try to do is to think about holding a bird in my hands - you don't want to crush the little one so you want just enough pressure to keep her from flying away. Do you have tips or drills to stop fat shots? If so, please share here on this golf blog and on Twitter @Golf4Beginners.